Is it Really Possible to Burn Stomach Fat? If you’re looking to burn stomach fat, it’s going to be important to pinpoint the top exercises that will quickly allow you to challenge the body, burn more calories, and increase your metabolic rate. All of these factors are what will lead to full body fat loss, which then means your stomach becomes slimmer and more toned than ever. Remember though, you can’t spot reduce the fat off your stomach. Read About the Six Pack Abs Scam Here For More Info. If you keep this in mind you will know that all cardiovascular exercises i.e. running, hiking, bicycling will be the most important for burning stomach fat. Here are the top resistance training, core and calisthenic exercises to burn stomach fat quickly which are also some of the top exercise to help you burn body fat – period. The faster you can burn body fat, the faster you’ll be on the way to six pack success. Let’s take a quick look at three of the top exercises to burn stomach fat so you can get an idea of what you should be adding to your workout program. The very first of our top exercises to burn stomach fat is the jump lunge. The lunge itself is a great movement to help burn fat because it’s going to work so many different muscle groups at once. It’ll target the quads, the glutes, and the hamstrings, all of which are some of the biggest muscles in the body as well. The more muscle fibers you can target overall, the faster you’re going to see weight loss success. Now, when you add a jump to the regular lunge, you’re increasing the total calorie burn even further and also adding an element of power to the mix. 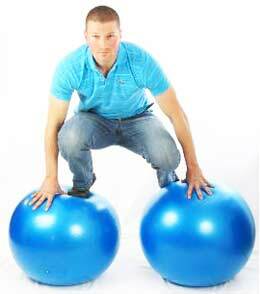 This is really going to set up you for completely changing your body and since the core must stay contracted at all times to help you maintain your balance, you’ll see noticeable ab firming benefits as well. 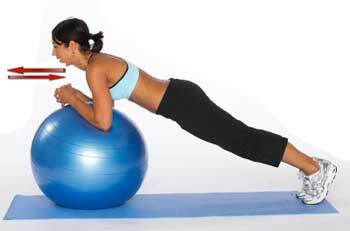 Second, the next of the best exercises to burn stomach fat is the prone ball roll in. This movement is great since it’s going to have you working through a very wide range of motion and will also help you work your entire core region. You’ll hit the front ab muscles, the muscles running along the spinal column, as well as the obliques, really firming the entire center of your body. In addition to this, the legs and shoulders will also be worked as stabilization muscles, making this a good full body movement. As mentioned before, while these exercises will not burn fat directly from the problem area, you will find that these types of core exercises will help you tighten your mid-section. Finally, the third and final of our best exercises to burn stomach fat is the side shuffle. The side shuffle is great because it’s going to help to target the quads and glutes to a very large extent just as the jump lunge did, but it’s also going to recruit all the muscles in the core as well. Side shuffles, when performing over a great distance, are a fantastic calorie burning movement, so add two to three lengths across a studio floor (or across a field if you’re outdoors) to your workout session. So there you have three movements to get you going. If you can add these exercises to burn stomach fat into your program and then also make sure that you follow a good diet as that’s the second component to success, you will see marked improvements in your belly fat in a few short weeks. Want Some Key Tips to Tone Your Lower Abs? Check out this Post!